Each year, BC Transplant dedicates the month of April to sharing stories and raising awareness about the benefits of organ donation and the life-saving effects of transplantation. Elaine Young shares her story with her daughter Addison. My very first Mother’s Day was just days away and I wasn’t even sure I’d have any reason to celebrate. My newborn daughter Addison was in the ICU at BC Children’s Hospital struggling for every beat of her tiny heart. We had already been told the grim news – her only chance for survival was a heart transplant. Try digesting that shocking conversation, especially as first-time parents already reeling from our baby’s sudden heart failure and ensuing diagnosis of a rare congenital heart defect. 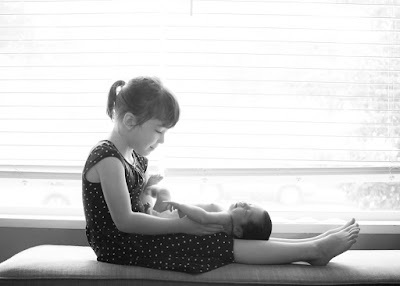 Just three weeks prior, we had been sent home from the hospital with a perfectly healthy child after a perfectly normal pregnancy. Now we had a baby who was being kept alive by a heart-lung machine and waging a full-out war against time. It was terrifying and surreal. I knew the odds were not in our favour. At that time, the wait list for organs in BC was especially dismal and Addison’s condition was so precarious it was an hour-by-hour situation. On Monday morning, we were walking around the shopping mall. Eight hours later, we were at the ER at BC Children’s Hospital. By midnight, Addison’s heart was in failure. On Wednesday the doctors told us her only hope was a new heart. She got listed for transplant on Thursday. Our medical team started making plans to get Addison stable enough for surgery to implant a Berlin Heart – a mechanical heart pump that would hopefully keep her alive long enough for the wait. They told us to prepare for up to a year, or even longer. Late that evening, we kissed our baby girl good-bye as she was wheeled into the operating room. We were so scared yet so hopeful. This was her chance. She had already showed us she was a fighter and she wasn’t ready to give up. On Mother’s Day, Addison got her new heart. Of course the story doesn’t end there with a “happily ever after”. Transplant is not a cure. It’s simply exchanging one deadly condition with another chronic condition that is more easily managed. The current survival rate at 10 years post transplant is still only around 50-60%. Addison has had her fair share of ups and downs on this transplant roller coaster ride. Before she even left the OR, her new heart stopped working, also known as primary graft failure. Many patients don’t survive this devastating setback. 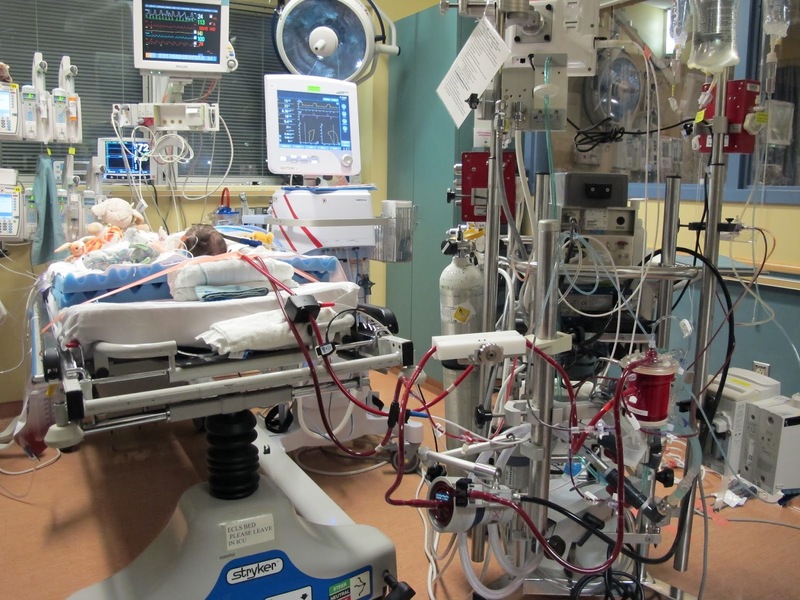 She had to go back on ECMO in the hopes her new heart just needed a rest. Amazingly that’s just what happened and we were able to take her home from the hospital three weeks later. Addison has also dealt with a couple of nasty infections that sent us back to hospital, plus the usual crazy schedule of blood work, appointments, ECHOs, ECGs, scans and tests means we have spent far too many hours at our ‘second home’. But there is so much we have learned along this journey. Not only have we grown stronger together, we have such deep appreciation for the time we do have with Addison. She has taught us to revel in the moment. We have also found a new passion, dedicating our spare time to raising awareness about organ donation through BC Transplant and fundraising for transplant research through the Transplant Research Foundation of BC. Along the way, we have met so many wonderful recipients, donors, doctors, nurses and researchers. And we have made deep and meaningful friendships, which ease the burden of this “new normal”. Addison is now five years old and about to start kindergarten this September. She truly embraces life and loves to take on new challenges. Her current obsessions include skiing, skating, gymnastics, colouring and constructing things with Lego and blocks. She also became a big sister a few weeks ago, a role she has taken on with great enthusiasm (at least most of the time). We live by the philosophy another 25+ year heart transplant recipient wisely shared with us – go and live the life you were supposed to live. For my husband and I, we live to travel and now we’ve introduced Addison to our world. So far, her passport stamps include Italy, France, Australia, Vietnam, Thailand, Philippines, and Hong Kong. Last summer, she added Argentina to her list too when we traveled to the World Transplant Games. Out of 800 athletes from around the world, all of them transplant recipients, Addison was the youngest competitor there. She proudly came home with two gold medals. Every day we think of Audrey, the beautiful little girl who has made all of this possible. She was only six days old when her mom Felicia had to come to terms with the worst news a parent can ever face. Yet Felicia didn’t hesitate. She immediately said yes to organ donation, believing that saving lives was the reason Audrey had been born. We are so incredibly grateful, and this Mother’s Day we will celebrate a major milestone – five years of “bonus time” with our miracle girl. To register your decision or for more information on organ donation, visit BC Transplant’s website. You can also support the cause by downloading their #MakeIt1Million campaign toolkit and share this positive message on social media.